Putting a Divi module inside the tab menu is not available by default in Divi but in this blog, I will reveal the trick for you. Create a sample post. As an example, I would like to put a blurb module inside the tab module. Let’s do the magic! Configure your blurb and finalize the elements. Once done, it’s time to get the shortcode. 1. 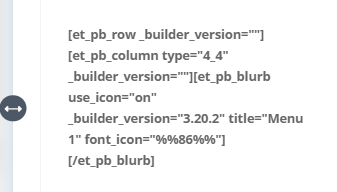 Hover the Builder button > right click to inspect the elements and remove the et_pb_hidden inside the class name. As an example, here’s the final shortcode for your blurb.